You may find a hard time in rooting your phone. Or you try to root your phone but it is always failed. It can happen because your phone model or android type is not suitable with the root tool that you use. Have you tried to root your phone using Kingroot? 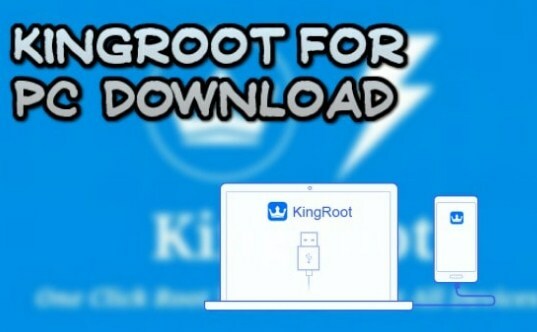 By using Kingroot, you are able to root your device easily in one click and you can do that on your android or via your PC/ Windows.If you want to root your phone using Windows, you need to download Kingroot for PC. How to do that? First, you need a Windows 7, 8 or 10 and the steps to root your phone via Windows using Kingroot is explained below. First, you have to open your browser. It is better for you to use Google Chrome because this browser has a built-in security system. Then, you can search for the Kingroot official website or you are able to use a tested version in another website. If you want to get a faster download speed, you are able to use a VPN like Psiphon for PC Windows. Alternatively, you are able to use one of the best download managers applications namely IDM v6 or Internet Download Manager. If you have downloaded the file, then run the installer and select a folder where you want it to install. You are also able to use Windows default installation folder, the Program Files. If you have installed it, you have to double click on the desktop icon. And then the Kingroot app will ask for you to connect your Android mobile device. So, connect your android device to your computer by using a USB. If it has been plugged, Kingroot will automatically detect your android version and device model. It may take a moment for those who do not have your device driver installed on your PC. Kingroot PC will install it for you. You have to make sure that you have an internet connection to finish the driver installation. If you already have your device driver installed in your PC, then Kingroot will detect it automatically. Now, you need to enable USB debugging mode on your device. To enable USB debugging you have to go to Settings > About Phone > Build Number > Tap it 7 times to be developer. And then again you have to go to Settings > Developer Options > USB Debugging and enable it. When the process is completed, you will see a Root completed message with a big tick on your PC. It means that you have successfully rooted your device and now you are able to close the application. You need to know that during this period, your device will reboot itself. If it is rebooted, you are able to install root checker and click on verify root to see if root have succeeded. Related Post "Go to Kingroot for Windows"